Can you outsource your Accounting for Rental Property Investors to SAVE, Time, Money and Stress? New Zealanders love property and owning one or more rental properties has been a great way to build up capital. Most Rental Property Investors do this typically under one of two main options. They either remain a Rental Property Investor as an Individual, or they set up a ‘Look Through Company. 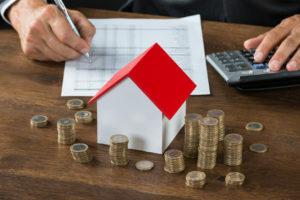 Both these options do mean you are required to file a tax return along with a summary of income and expenditure for the properties each year. XebraTax Accounting offers a service that makes this simple, using Xero online accounting sofware. As part of our service, you get assigned your own personal XebraTax Advisor, who is Xero Certified and will enter all your rental income and your related expenses into your Xero License. XebraTax provides you a service second to none that offers exceptional value. Our service will save you time, money and stress. What’s even better is that we also offer an ‘Accounting Service Guarantee’ too, taking away all doubt that we will deliver and making your decision to use our services a ‘No Brainer’!